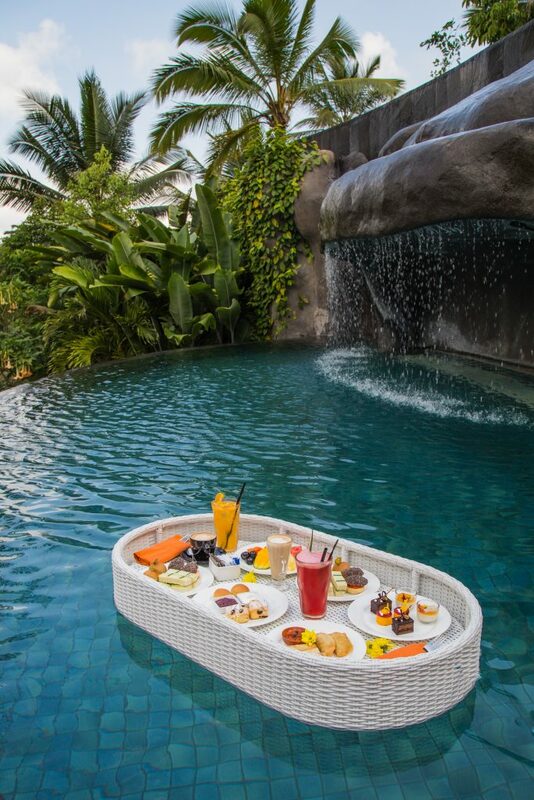 Plunge into our hidden pool and indulge in our secret Floating Breakfast or Floating Afternoon Tea for those who aren’t an early riser. For more information please contact +62 361 301 111 or email to [email protected]. 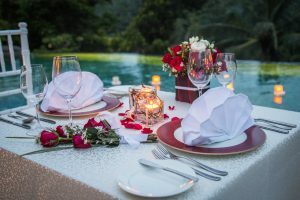 The love month is fast approaching, treat your sweetheart to an intimate four-course dinner with a jungle view and soothing evening breeze in the most stunning location this Valentine’s Day. For more information and reservation, please call +62 361 301 111 or email to [email protected]. 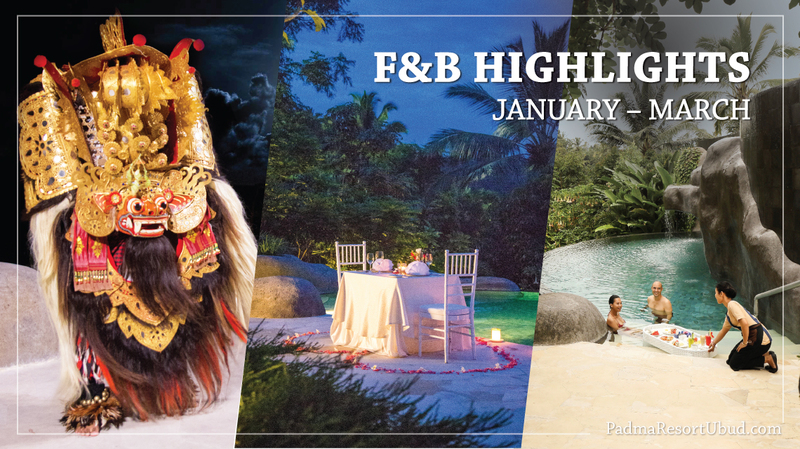 Revel in the most authentic Balinese cuisine crafted by Chef Saptono under the full moon and completed with the glorious lion dance performance. For more information, contact For more information and reservation, contact us at [email protected].